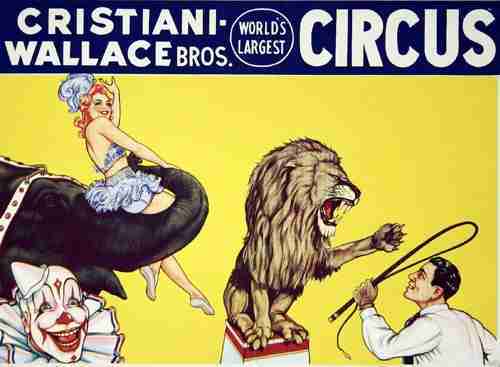 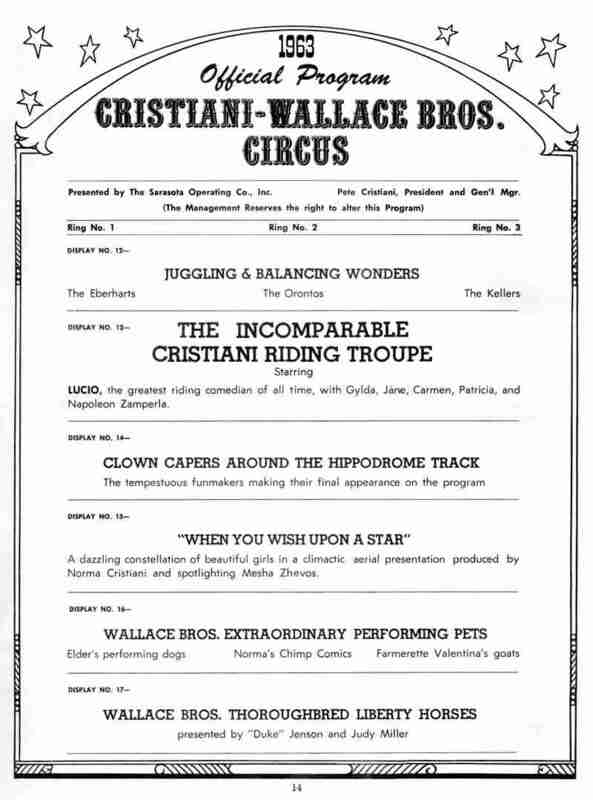 After succesfully operating the King Bros Cristiani Circus with partner Floyd King in the 1950s the Cristiani family opened the Cristiani Wallace Bros Circus. 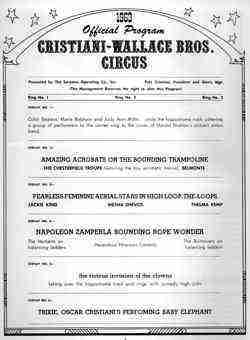 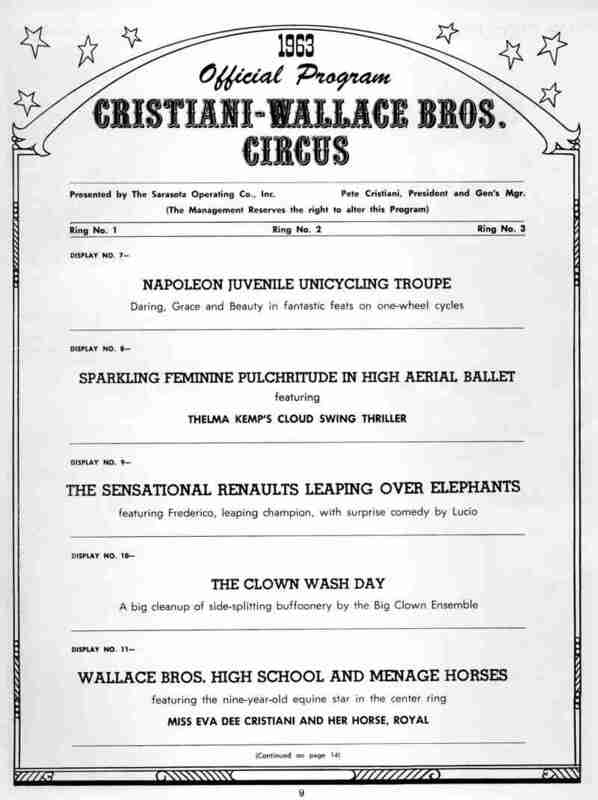 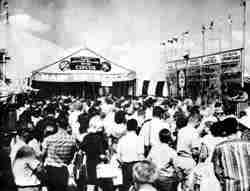 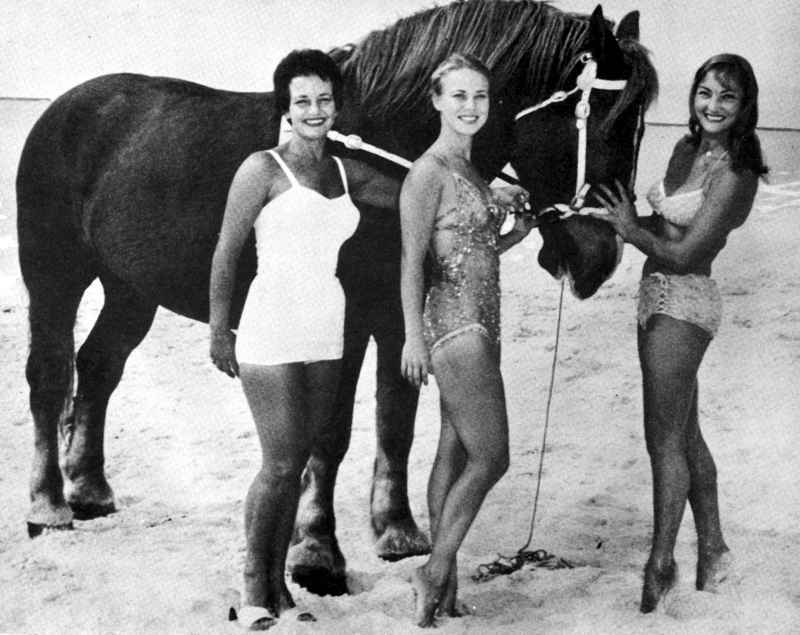 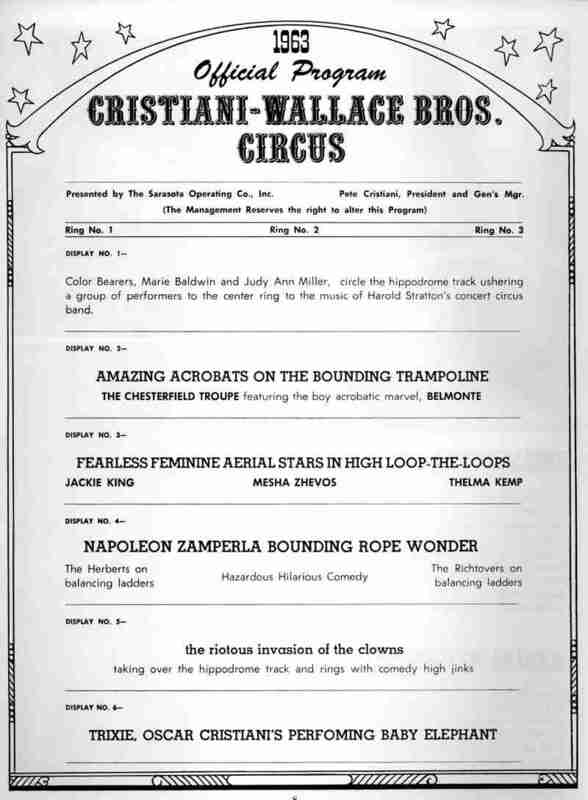 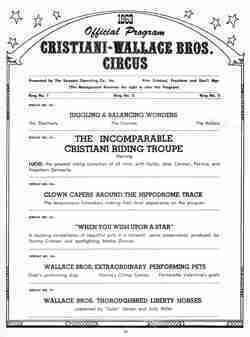 The Cristiani Wallace Bros Circus was a medium sized circus operating in the early 1960s. 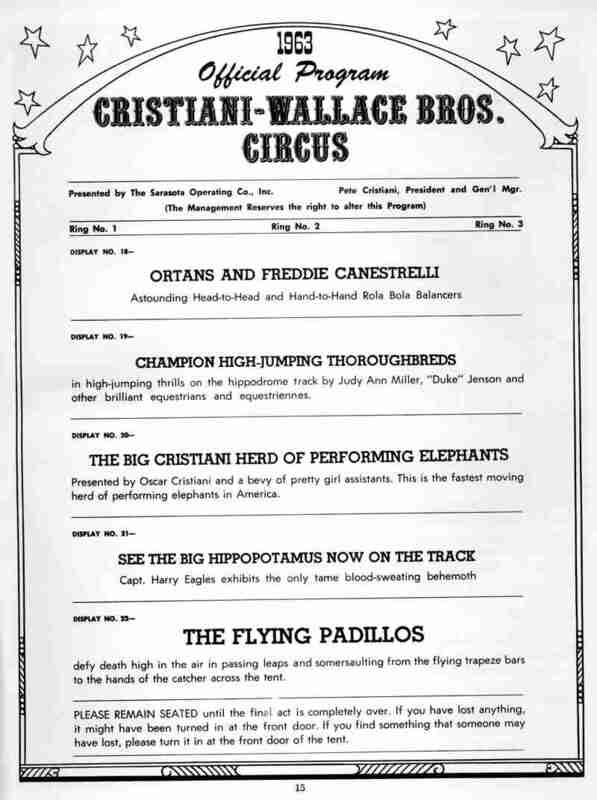 The show was owned by the Cristiani family and managed by Pete Cristiani. 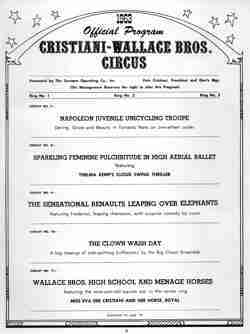 The circus toured mostly states east of the Mississippi. 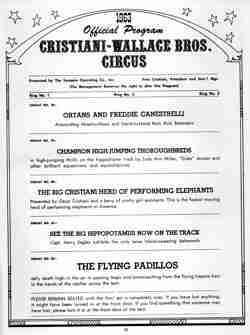 Please help us find information on the Cristiani Wallace Bros Circus.